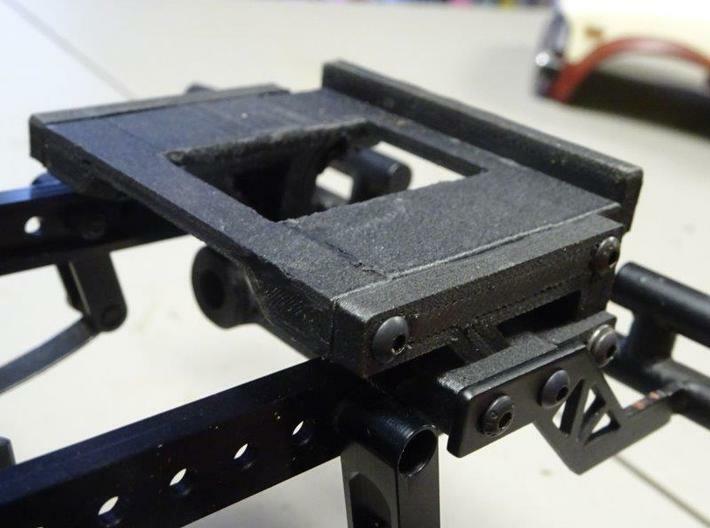 This is a hinged body mount for the bed of the Mojave 2 (regular and LWB versions) on the GCM CMAX chassis. 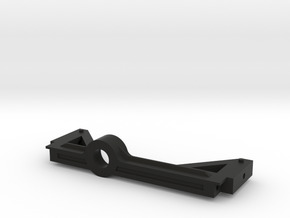 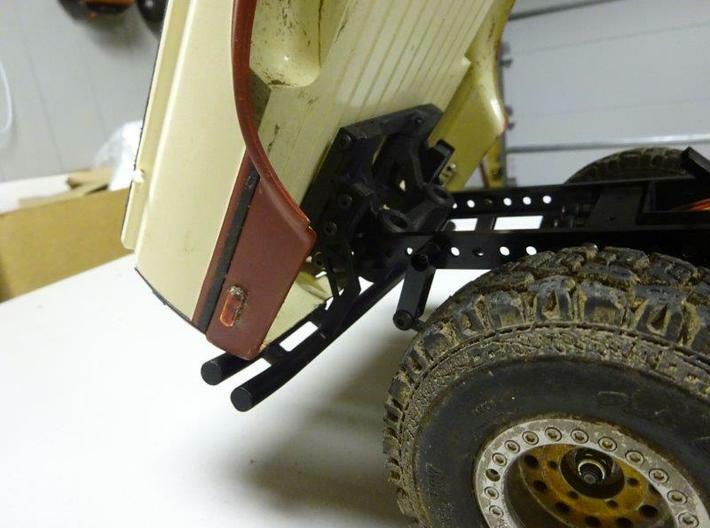 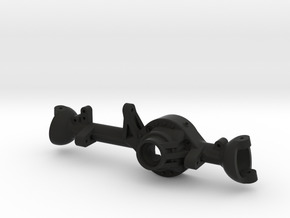 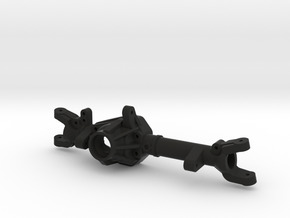 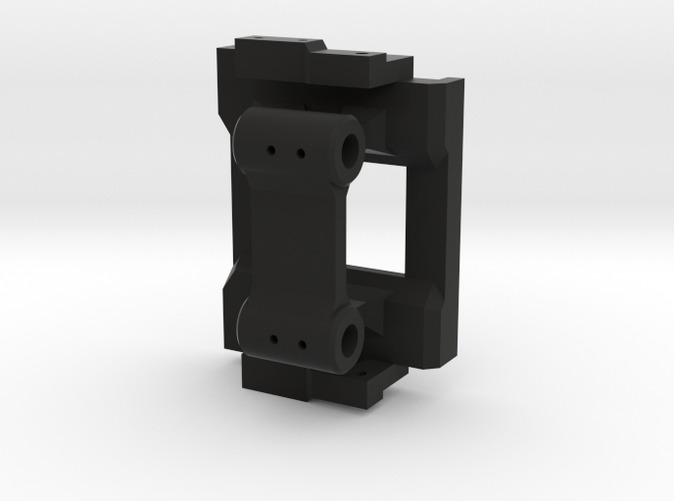 The mount includes integrated bumper mounts for both styles of bumpers made for the RC4WD TF2 platform (post-mounted and chassis-rail mounted). 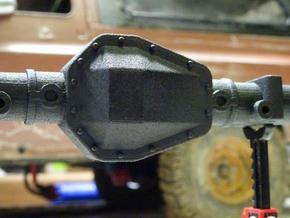 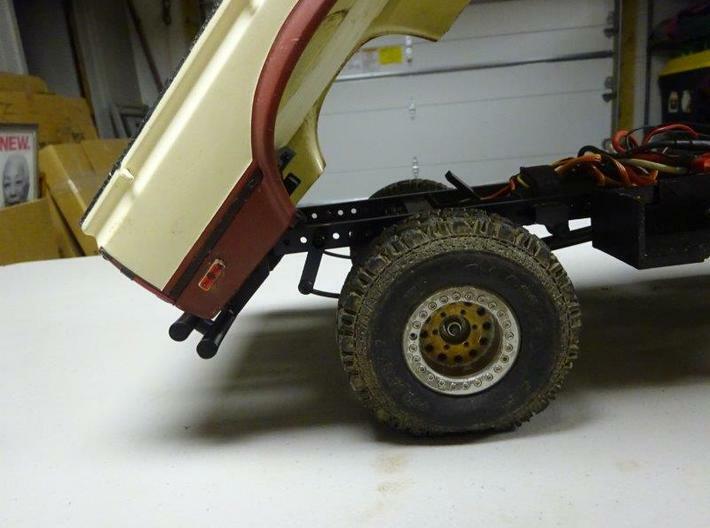 The bumper pivots along with the body when the body is lifted to access electronics underneath.